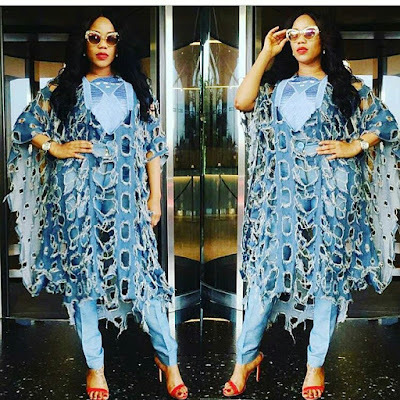 Hit Or Miss - Distressed Jean Agbada Outfit? 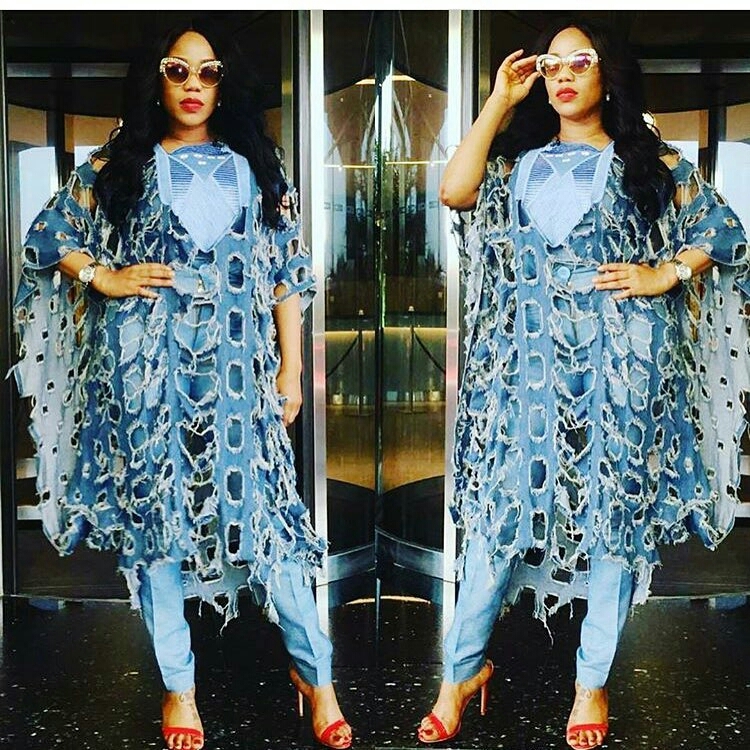 Fashionista, Toyin Lawani took those bold steps again this time as she dared to rock a distressed jean Agbada outfit. Most people think she went way too further with this outfit, but all I can see here is creativity at it's peak! What more can be more stylish than trying to add a modern spice to a native mode of dressing, she is way too stylish! What do you think about this look? Hit or miss?